Ringer Lawn Restore is a product we used for the first time this year. So far it looks like it has done a good job of helping to mend some rough spots in the yard. We used Ringer Lawn Restore along with Concern Weed Prevention Plus Corn Gluten. Both were applied together in late March. Unfortunately we had one last snow just a day or two after we put both on the lawn. This would have reduced the effectiveness of the Corn Gluten. I don’t think there was a negative effect on the Ringer Lawn Restore fertilizer. Personally I feel these natural products compete head to head with traditional fertilizers. In some cases I think they outperform the well known “steroid poisons” most people prefer to use on their lawns. From what I have seen I don’t think there is much of a price premium for purchasing the natural products. I think it is misconception that natural cost more. 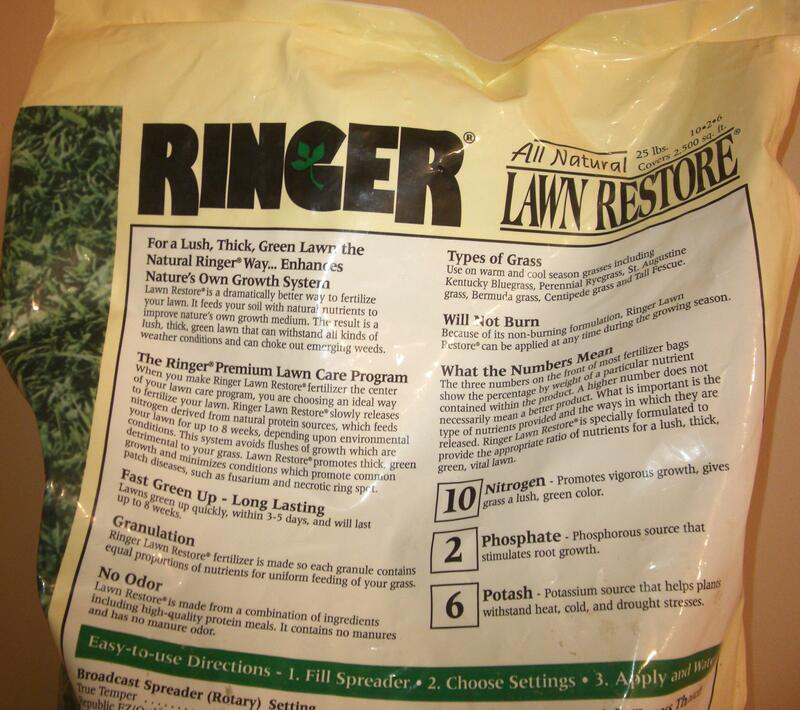 Ringer Lawn Restore will ‘green’ your lawn up quickly, usually within 3-5 days and will last up to 8 weeks. 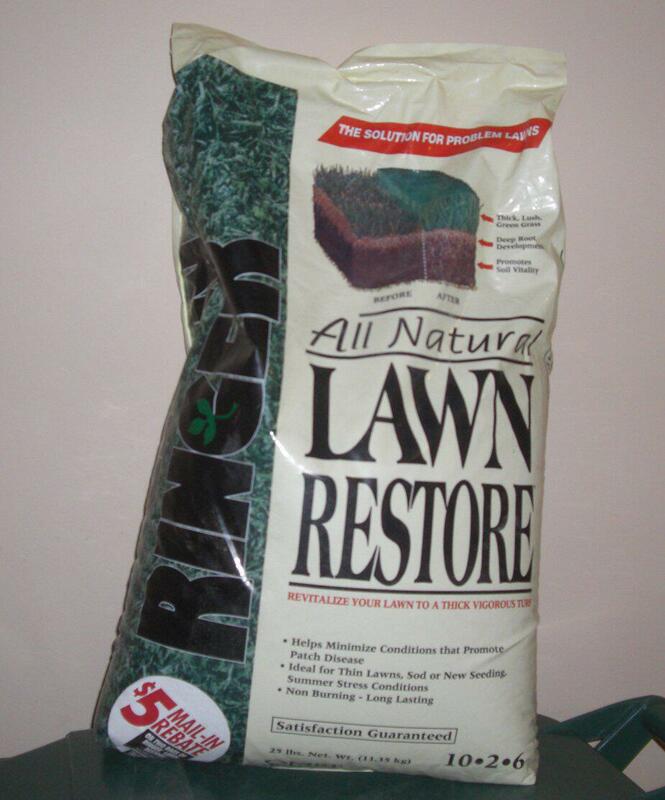 Ringer Lawn Restore is made from a combination of ingredients including high-quality protein meals. It contains no manures and has no manure odor. 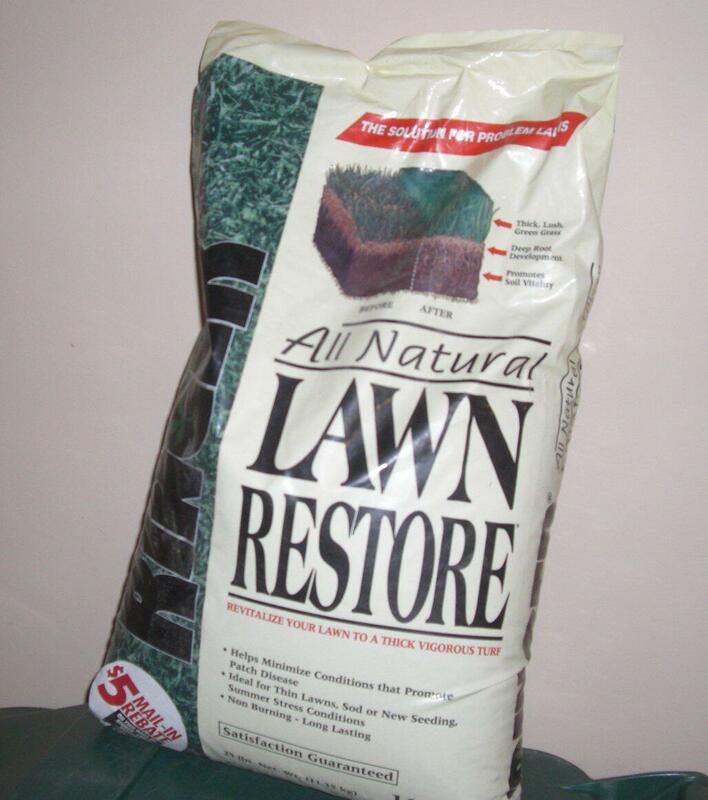 Ringer Lawn Restore slowly releases nitrogen derived from natural protein sources, which feeds your lawn. This system avoids flushes of growth, which are detrimental to your grass. You can apply Ringer® Lawn Restore at any time during the growing season. It will not burn your grass like traditional chemical fertilizers. 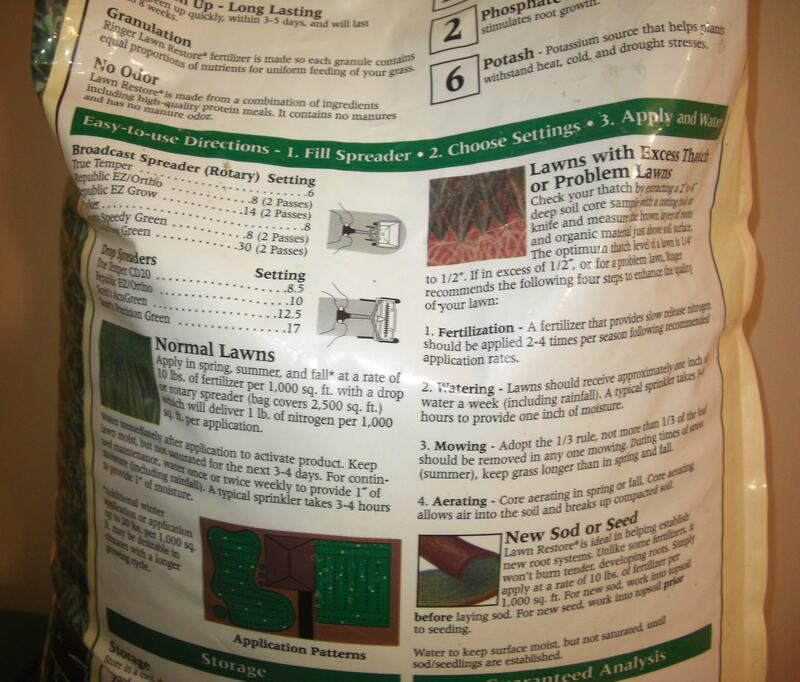 See Ringer Lawn Restore fertilizer results in the photos & videos below.